Websites like Codecademy makes us think that Coding is the new English! Coding is really useful and everyone who owns a computer should learn how to code. There are lot’s of websites online which teaches the willing people how to code. Coding teaches us an iterative approach to solve problems and testing out our own ideas. However, if you’ve held off on trying to improve your coding skills, because you still thought it wasn’t fun enough. Turns out there’s no excuse for you anymore. 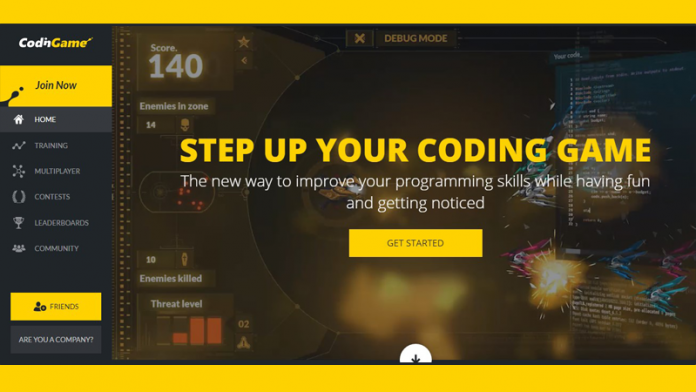 In CodinGames, everything happens inside an in-browser IDE, here players can test their new ideas in real-time and one need to defeat the enemies by entering the right command in the console. The multiplayer games on the website are “turn-based”. You need to choose your programming language from a set of languages before starting the game. If you want to play any games you can choose your language and you are ready to compete with others. Once you selected your programming language, you just need to tell your program to shoot the closest alien. For that, you need to copy/paste the code in the code editor. You can test your code by playing a test case too which will show your code in action. But you must note one thing that this website isn’t designed for beginners. Beginners might find it little confusing so it’s better off learning the basic first. However, it is the new way to improve your programming skills while having fun and getting noticed.